Clearing + Cleansing with Palo Santo. Palo Santo “Holy Wood” (Bursera graveolens) is a wild tree native from Mexico and the Yucatán Peninsula to Peru and Venezuela that inhabits the South American region (northern Argentina, Paraguay, Bolivia and the Brazilian Mato Grosso). It is in the Frankincense, Myrrh and Copal family and smells divine encasing you in the aromatic essence of sweet citrus, pine and minty freshness. It is used in many ways for cleansing, clearing + healing. It helps to uplift the energy around you and within you bringing more positive vibes into your space. It acts as a strong medicine in keeping energies grounded and clear. Personally, I use this in my home as well as helping to clear myself from any day to day energies I encounter. I also use it before, during and after my Shamanic Reiki Healing sessions in the form of oil or I will burn the wood (depending on the client’s sensitivities) helping to clear the space before, during and after I do healing work. The smoke works well in keeping away mosquitoes and other flying insects which is one of the prime uses for the people who live in Ecuador and Peru. Where can you get this magical sacred wood? Personally, I like to go to Phoenix + Dragon Metaphysical Store in Sandy Springs or Form Yoga in Decatur sells them as well. You can also buy them on Amazon or your local spiritual or metaphysical store as well. Are you feeling stuck? energetically drained? emotionally drained or irritated? Especially after this eclipse energy? 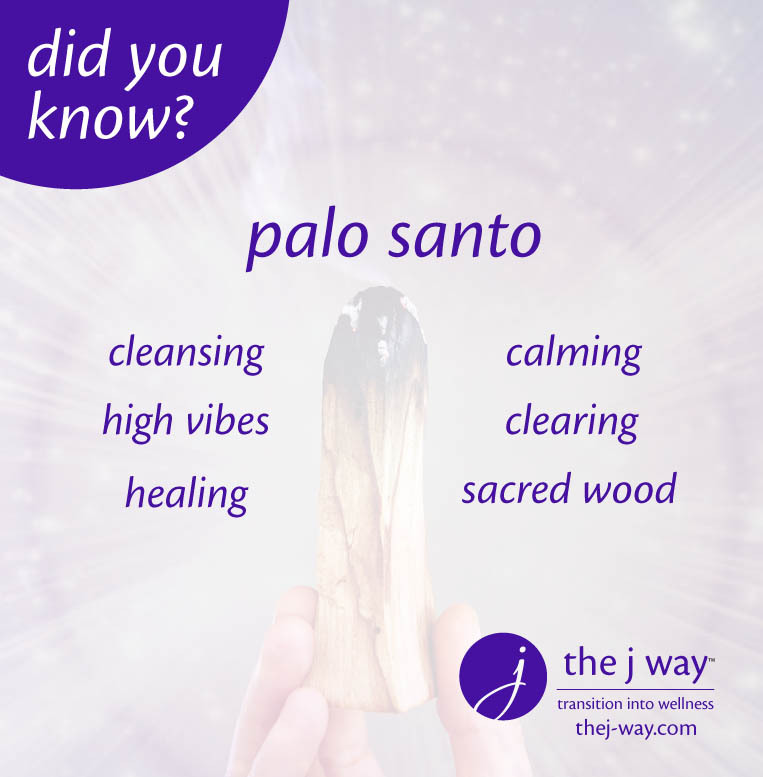 Try using the Palo Santo to aid in clearing these energies out of your body, mind and space. Need more?...click here to schedule a session with me. Use a candle, to light your stick of Palo Santo. You may need to hold it there for about 30-40 seconds never taking your eye off the flame. Then blow out and move around your body (I like to do 3 circles over each chakra or work around each body part). Then you can also use this for your workspace, home, car, kitchen, bathroom or anywhere you would like to clear the energy. The aroma should immediately bring a sense of peace and relaxation along with some good vibes. The stick might go out before you finish the cleansing ritual so you can repeat relighting it from a candle and continue. When finished, place the stick in a fire proof bowl of metal, glass or clay. It will go out on its own pretty quickly but like all incense and candles do not leave the room until you know it is completely out. Always using caution. You can also buy a concentrated oil and use it on your body or in a diffuser for aromatherapy. Of course always using caution when applying it topically and testing a small area first to make sure you do not have a reaction to it. Sit quietly, close your eyes and follow the rhythm of your breath. Breathe into your belly through your diaphragm. Inhale feel light and expansive; exhale feel clear and focused. Repeat to yourself: I breathe in light, I breathe out clarity.